The name Kiko Loureiro may not mean much to most people but in the heavy metal community, he is regarded as one of the better guitars out there. His day job is with Angra but now he has decided to put out something all his own. I have always thought that Angra was very musical, so it comes as no surprise that this disc is chock full of great guitar playing but more importantly, it contains songs. 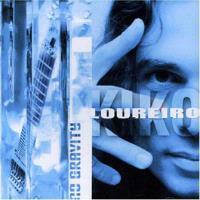 Like Joe Satriani, Loureiro knows that the song should come first, and then let the guitar sing over it. I bring up Satriani because many of the tracks here have that style that many people are using. Unlike the Ben Trexel CD I reviewed this issue, this one is more of a shred-fest but it still can be enjoyed by us non-musicians. Things start off with a fast paced metal shred fest. Some of the playing has a Joe Satriani style and other parts sound like Yngwie Malmsteen. Loureiro’s playing is very fluid during the slower parts and that is what really makes this song. The intro sounds like “Into The Arena” by Michael Schenker. The rest of the song falls into an Yngwie Malsteen type of rocker. I could almost say this is homage to Joe Satriani’s “Summer Song.” The tracks are very close. Whatever was the inspiration for this, it is still a rocking cut. This is one of the better tunes on the disc. It is a softer mellow piece with some emotional guitar playing. This is an excellent example of a tune where the guitar sings the song. A small acoustic intro ushers in a fast paced rock cut similar to “Enfermo.” There are a number of different parts but they don’t seem to go anywhere. I’m sure many guitarists out there could appreciate this track but I find it a little too much and not enough at the same time. Now this is more like it. 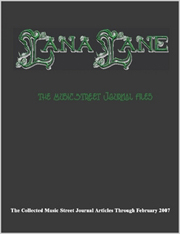 It starts off as kind of a soft jazz track and slowly builds to a mellow rocker with some great guitar playing. This is definitely a highlight on the record. The drumming has a very exotic feel like the song by Asia called “Into The Arena” (first the Schenker track by the same name and now this). The guitar playing is great but what I like most about it is that it is different and shows Loureiro can bring something different to the table if needed. Another winner, the guitar playing is in that Joe Satriani vein and it rocks harder than the last two cuts. I can’t decide if this one is my favorite but it is definitely up there. This is a nice acoustic number and it shows off Loureiro's Latin heritage. I just wish the song was a little longer. I like the beginning of this cut but as it progresses, it loses something. The playing is good but something like “Moment Of Truth” is so much better that this one falls short. If you are a fan of Euro power metal, then you will totally dig this track. It has all the right elements; classical playing, galloping double bass drums, and shredding guitars. I’m glad that this is the only song like this on the record because, while it is good for 4 minutes, it would get really boring for 60. After the fast pace of the previous track, this one comes as a breath of fresh air. It is an acoustic composition with electric guitar singing over it. You could have this as background music while doing things around the house or listen to it intently. It works well both ways. This is a very short acoustic piece that sounds like it is going to be the theme from “the Godfather.” At just a little over a minute in length, it is gone before you know it.